Pencils of Promise students in Guatemala. All photos by Nick Onken. 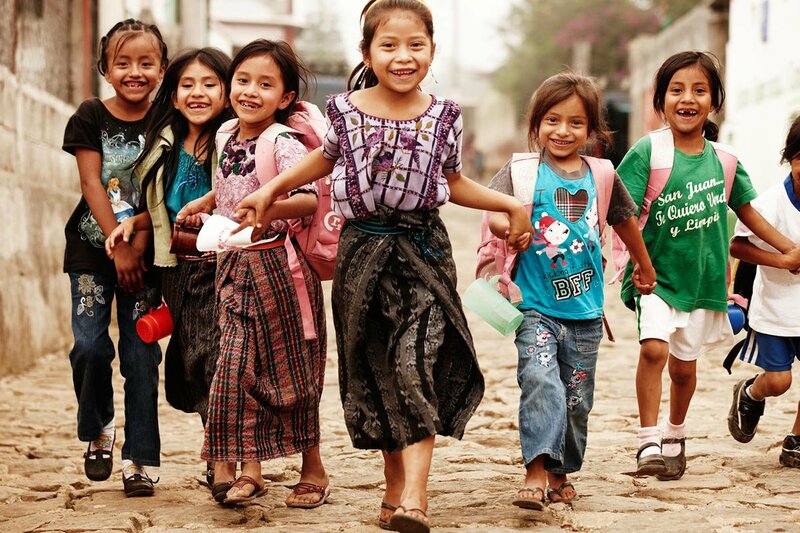 Last month, we featured the 24 Best Volunteer Opportunities Around the World. This month, we're finding the best holiday gifts for travelers. Which has us thinking: What about gifts that give back? Pencils of Promise is a "for-purpose nonprofit" that builds schools, trains teachers, and funds scholarships in Ghana, Guatemala, and Laos. 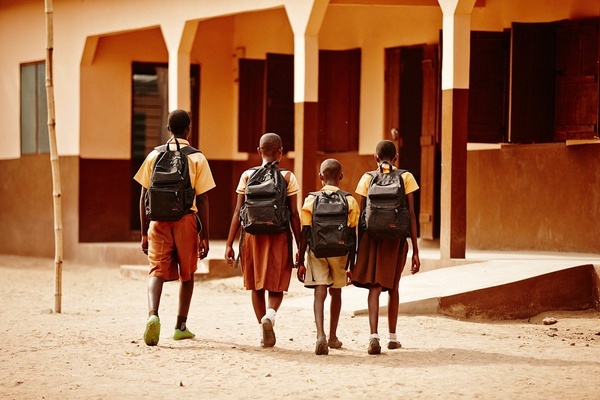 This holiday season, they're raising funds to build 25 new schools in Ghana. We love the sound of this, and wanted to know more from Adam Braun, the founder and CEO. Here's his story. Tell us about Pencils of Promise. Pencils of Promise is a nonprofit organization founded in 2008 with the goal of increasing access to quality education. We do this by creating schools, programs, and global communities around the common goal of education for all. In six years, PoP has built more than 250 schools throughout our three countries of impact — Ghana, Guatemala and Laos — providing quality education to 30,000 students. Beyond building schools, we offer programming, progression scholarships, and teacher training support. We are a nonprofit, but we are not a charity. PoP is a for-purpose organization that fundamentally believes all children have the right to a quality education. We are proud to be led by passionate, young individuals who want to change the world for the better. We believe in empowering each person, regardless of status or position, to make a positive impact on the world. While backpacking as a college student, I had a habit of asking a child in every country what they wanted most in the world. I met a young boy begging on the streets of India who simply answered, "a pencil." I handed him one from my backpack and watched as a wave of possibility washed over him. I saw the profound power and promise possible with something as small as a giving a pencil to one child. Over the next five years, I backpacked through more than 50 countries on six continents, handing out thousands of pens and pencils. These pencils led to powerful conversations with parents and children across countless cultures and languages. It became clear that there was a need for an international nonprofit that was staffed by locals within each country; required village participation in each school; and deeply supported, trained, and tracked every student to ensure their success. These conversations were the inspiration for founding Pencils of Promise. Pencils of Promise founder Adam Braun at their first school in Laos. What did you do before Pencils of Promise? I worked at Bain & Company. When I was sixteen, I began working summers at hedge funds and remained on track for a Wall Street career through high school and college. But part of me always felt compelled to do more. Inspired by the boy I met in India, I deposited $25 in a bank account on my 25th birthday and threw a party. Instead of gifts, I asked friends to donate to building a school in Laos. That party funded our first school. The students in our three countries of impact, Ghana, Guatemala and Laos, benefit immensely from access to a quality education. Our teachers find support through our comprehensive teacher training programs. The communities in which we build also benefit, since we only build in areas that have pledged to support our efforts through materials or labor. They genuinely want a school for their children, and Pencils of Promimse helps make that a reality. What challenges come up with the people you work with? Occasionally, we have difficulties with local governments. We do our best to overcome these challenges quickly and to get on the same page as officials and only break ground when we are sure we will be able to work successfully with the local governing body. Tell us about a lost-in-translation moment you've had. In my book, The Promise of a Pencil, there is a chapter titled "Fess Up to Your Failures" that describes a moment in which a miscommunication led to a major learning experience. In the early stages of PoP, two of our team members were robbed in Guatemala. They sent me an email asking if they should file something with the organization. I interpreted this as a request for reimbursement and replied that it was not PoP's responsibility to reimburse the cost of their phones and wallets. Their return email clarified that they were not asking for a reimbursement, just asking about filing an incident report. They were hurt and disappointed by my initial reaction. I had wrongly responded as a CEO by addressing financial concerns without focusing on the well-being of my employees. I apologized for my mistake, and we immediately created safety and policy guidelines establishing emergency protocols for our staff to resolve issues promptly and with the support of our team. The biggest opportunities for growth are not found in the success, but in the way we address failure. PoP students heading to class in Ghana. How often do you travel for Pencils of Promise? Often. Whether I'm visiting our schools or traveling across the U.S. for conferences and speeches, I'm usually traveling at least a few weeks per month. Tell us about a favorite moment from one of your trips. Our milestone 100th school was built in Ghana in early 2013. I made plans to attend the opening ceremony, which was full of inspiring speeches, traditional songs and dancing, and distinguished guests. After the ceremony, I sat down with village leaders to eat, but was distracted by the sound of music blasting from outside. I excused myself from the table and was amazed to find more than a hundred kids dancing in the schoolyard. They saw me and grabbed my hands, and for the next twenty minutes I danced harder than I ever had in my life. Has your work changed the way you think about charity and helping others? Our adaptation of the term "for-purpose" epitomizes PoP's outlook on helping others. We are a for-purpose organization, which means that we blend non-profit idealism with for-profit business acumen. We are driven by our results on the ground, which I think is the key to any successful organization looking to make a sustainable, lasting impact. I am traveling to a lot of different schools in the United States through the end of the year to promote participation and fundraising for PoP. In the coming weeks, I will be giving speeches at the Lamp Lighter School in Dallas and at the University of Louisville. Where do you see Pencils of Promise in 10 years? We break ground on a new school every 90 hours and will continue to do so in the years ahead. But we're not only interested in creating infrastructure, but also in changing what a learning experience can be for a child anywhere in the world, including on our own soil. We recently partnered with TED prizewinner Sugata Mitra and Microsoft to launch a pilot program around self-organized learning environments. I believe it's one of the most exciting and disruptive concepts in education, which is a good thing. You can see one of the videos of the work in action here. Today's landscape of business produces a space where success hinges more on whether they are "for-purpose" or "non-purpose." "For-profit" and "non-profit" designations refer more to the business model an entity follows than to its mission. Many of today's top businesses have a mission-driven commitment to solving a societal problem, which ensure that they are giving back on a global scale. Over the holiday season, our goal is to raise funds to build 25 schools in Ghana. Readers can help make this happen by donating. Anyone can join the 33,000 fundraisers currently supporting our work by starting a page through our website. We also have PoP clubs across the country at many high schools and colleges. If you raise $25,000 — the cost of one school — PoP provides an opportunity for you to travel to the field to see the impact of your work firsthand. Adam is the founder of Pencils of Promise and The New York Times bestselling author of The Promise of a Pencil. You can follow him on Twitter and Instagram. He travels for the opportunity to meet new people and hear their unique stories.